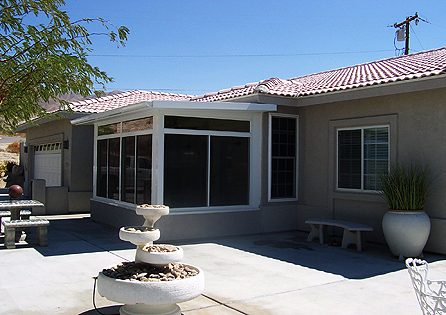 One of our clients in the Cathedral City area in Coachella Valley had a beautiful existing deck that was built within the home. 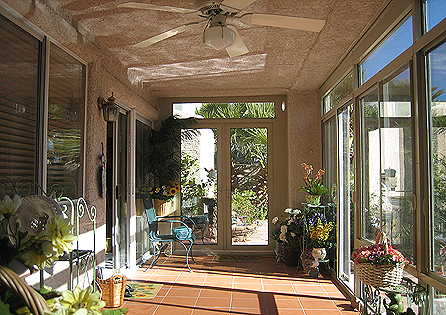 The deck offers an incredible view but the patio off the kitchen under the deck was rarely used. 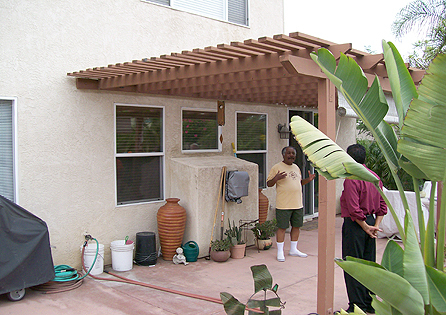 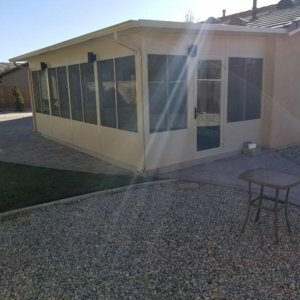 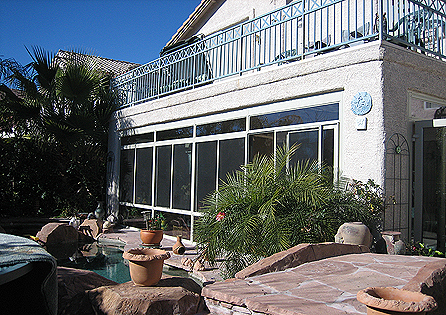 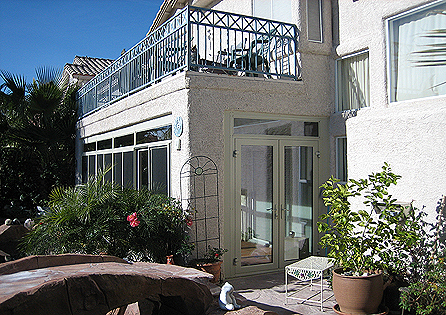 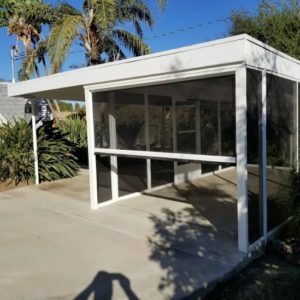 The Coachella Valley homeowner wanted a way to enclose the existing deck that would allow all the sunlight to get in while keeping the intense heat out of the new room. 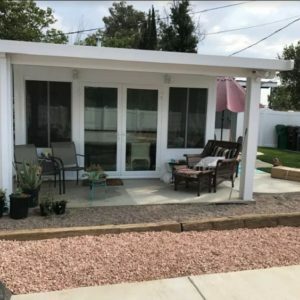 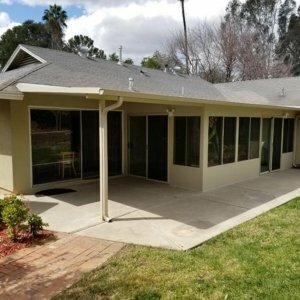 The Four Seasons Sunroom, which offers a 230 wall system, perfectly fits the needs of the client and satisfied the neighborhood homeowners association.. Now, the new sunroom offers complete year-round living in a beautiful area with a magnificent view of Coachella Valley. 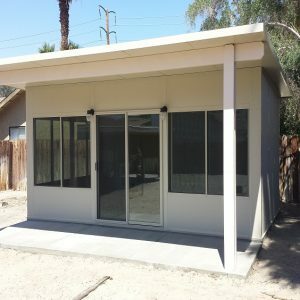 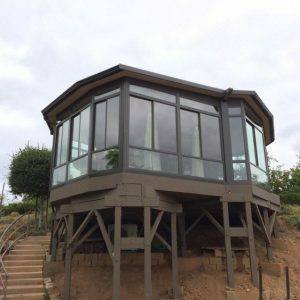 Sun Boss handled every aspect of this project, from designing and submitting drawings for the HOA, to meeting all city codes.